The Shoreline Dress is made in Navy Blue polyester jersey, featuring our exclusive fabric prints in trim around the hem and neckline. 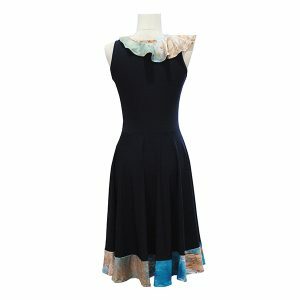 It features a full skirt for a feminine silhouette, and looks great on all body shapes. 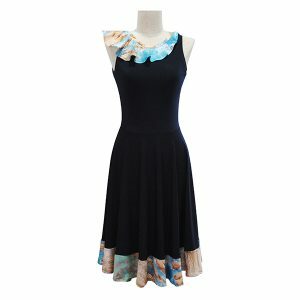 The jersey fabric makes the dress extremely comfortable to wear, it doesn’t crease or crinkle, is easy to wash and dries quickly. Check our size chart for your best size.